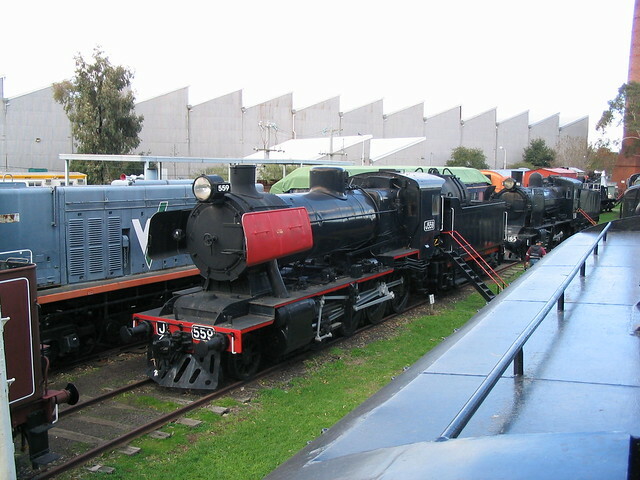 The Railway Museum at North Williamstown is closed currently, due to safety issues. As a kid I’d visited many times, and I was able to take my kids there too. Selfie with the kids, from the top of Heavy Harry. Near the museum, parked in a siding was an M>Train Comeng train. 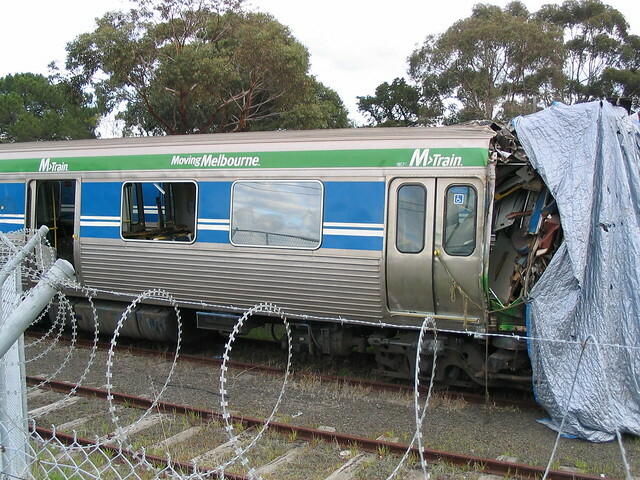 This carriage was looking a little the worse for wear — it had been involved in the Broadmeadows runaway train incident in February 2003. The other end of the train looked a little healthier. I didn’t mind those colours, and the slogan was quite good. 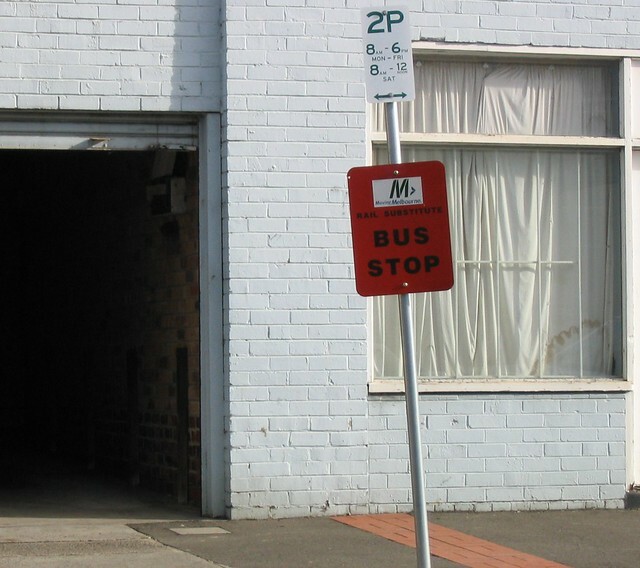 Another bit of M>Train for the gunzels: Rail substitute bus stop sign, circa 2003. 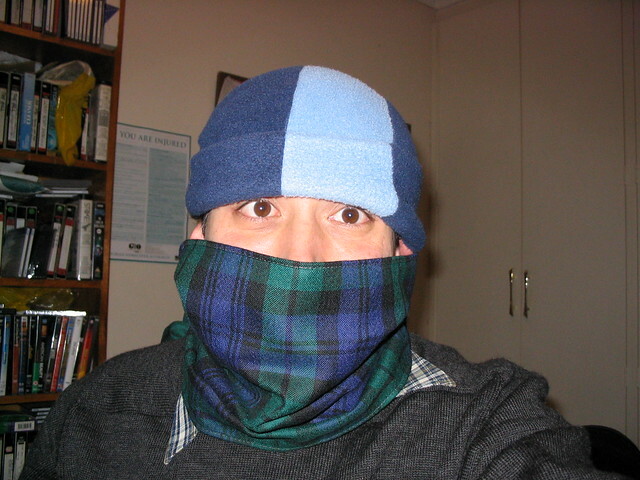 From later in the month… Evidently it was a cold winter that year. Not much has changed in ten years – although the slogans on the side of trains are different. I recall the runaway train at the time – lucky no-one was on it. The rail substitute signs are very common now – sometimes confusing as you think it means “today” there are no trains. PS I still think “selfies” are a bit sad as it means there was no-one else there to take the photo! 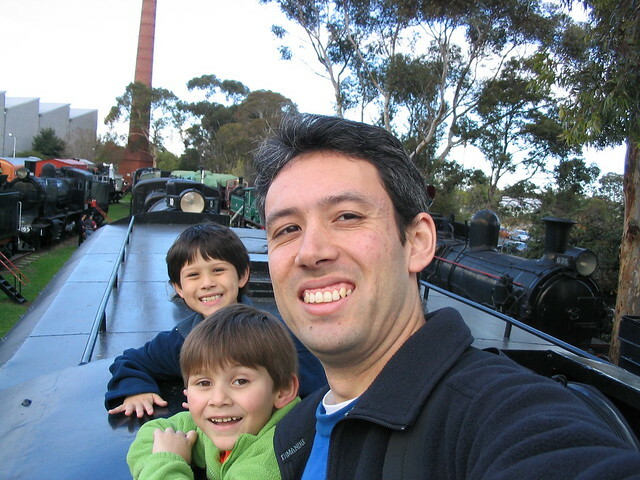 We had a birthday party for gunzel-san in the dining car of one of the trains at WIlliamstown train museum … oh it must have been around that time (I’m trying to remember if it was his 10th or his 7th birthday party). Such a pity it’s closed to the public today, because even I found it fun! Never been there and can’t go now. I’ve never seen a stop sign like that. Your hair is much greyer now, but you don’t look much different. While there is no museum to show the items off within, they may as well do an SRHC-Loco-hire, and earn some money to perform the works they need. That way they can get the money to improve the yard to the point of where it would then be permitted to open. 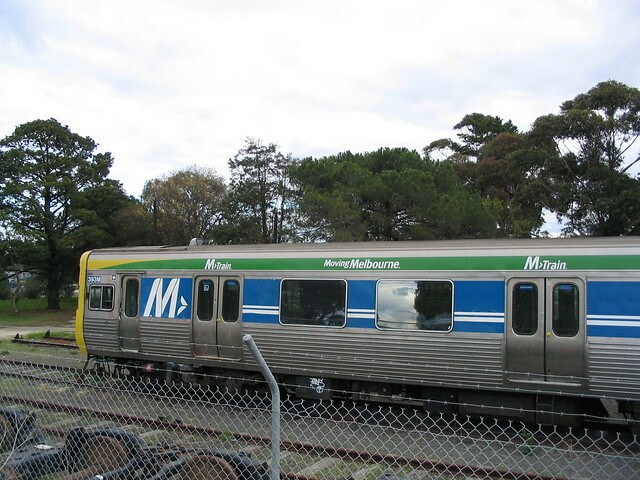 Those two photos of the M>train comeng, are they of the same M car? All these years under a broken window, those seats would be wrecked. I wonder if they are going to use the healthier looking section of that EDI M>Train for spare parts.